Testimonials - Canada Super Centre – Your pre-owned supercentre! Some Testimonials from our happy customers! My wife and I are receiving a lot of compliments about our new Jeep and everyone is staring at it. One of the NTCL employees even told us that, it is the best looking vehicle that they unloaded anywhere up north this year.We are telling everyone that we purchased it from Winnipeg Dodge Jeep Chrysler. Well it has been almost a week since I took the the Avalanche home and all is well! You know the old saying ” I never done that before” or ” Site unseen” Well this was the first time that I have ever bought and paid for a vehicle that I have never seen until it was actually delivered! Trust, in this case went the distance! Oh, I know I had a chance to come down and see it before we closed! However I trusted in you guys! I would do it again! I am very happy indeed with the Avalanche with out doubt! It is all and more than expected! You and your staff at Winnipeg Pre-owned Supercentre are a cut above all the rest in my book! As far as taking the vehicle back! Maybe when I’m done with it in a few years but not right now that’s for sure. By the way the Mrs. was surprised with the Avalanche also!! Just not sure I will let her drive it! Oh , maybe in a pinch! I will continue recommend ” Winnipeg Pre-owned Supercentre ” because they are better used cars, to all I know! Hopefully you can close a few more deals! We would like you know how pleased and impressed we are with our recent experience at your dealership. We have always known about your excellent reputation in our area. We came down to your lot one day where we met Chris Rose who was so friendly and attentive to us. Please know that we will be telling everyone about our very positive vehicle buying experience at Winnipeg Pre-owned Supercentre , and recommending Chris Rose. A note of sincere thanks for being a terrific salesman, and for your wisdom and “no pressure” approach when I was looking to buy a car. I’m delighted with my Jetta. I’m also delighted with the way I was treated by you and the staff @ Winnipeg Pre-owned Supercentre . I have sung your prises to my friends regarding my car buying experience. Sincere appreciation! I am informing you that I appreciated your services rendered to me by your sales staff. they did an excellent job in getting me a car that I love and enjoy driving. I would like to thank your company for giving me the opportunity of doing business with you now and possible future. I wanted to take this opportunity to extend my thanks and appreciation to one of your sales representatives, Chris Rose. We are very happy with the car, and were very impressed with the teamwork displayed by Chris. Everyone there made us feel valued and appreciated. We are recommending your dealership to many of our friends and family and hope that new business continues to come your way. Thanks for your excellent service! We appreciate your integrity with our purchase. We did not feel pressured and we admire that muchly! I’m really enjoying my truck and want to thank you so much for making it happen. Purchasing a vehicle from you is such a pleasure. You have a wonderful manner and at no time did I feel I had to purchase this vehicle (or any vehicle for that matter). Thanks again for everything! This is a letter stating how much of a tremendous job Winnipeg Pre-owned Supercentre did. They answered all our questions thoroughly. They treated us very well. They had gotten the vehicle ready for us the very next day, which meant They went out of way. Keep up the great work. We were so impressed with the service that you provided. It is unbelievable to us that you were so knowledgeable and yet, unlike any other car salesman out there. When this car is ready to go, we will be out again to purchase from you. Thanks you again for all your efforts. I would like to thank you for all you’ve done in helping me get my car. I appreciate the hard work and dedication you do for your clients. You are a very understanding salesman. It’s nice to see you take the time for people. Once again I really appreciate all you’ve done for me. Thank You. Hi There Winnipeg Pre-owned Supercentre , We have just purchased our second car from Winnipeg Pre-owned Supercentre . We would like to thank Them for their excellent service. Any service which has been required has been fulfilled to our satisfaction. We would recommend Winnipeg Pre-owned Supercentre to any of our family and friends for their car purchases. We will return to your business for our next purchase. I would just like to thank You all for assisting me in the purchase of a new vehicle for myself. Winnipeg Pre-owned Supercentre has an extremely easy going style and was far from a pushy salesperson and I was extremely grateful for that. You made me feel comfortable, respected and important. I feel that I got what I wanted rather then you getting another sale. Thank you for the opportunity to meet you all, and for your invaluable assistance. Keep up the good work! Thank you very much for your kind and though attention during my recent car purchase. I appreciate your efforts to arrange appropriate financing and work around problems in a discreet and charming manner. We were first interested in Winnipeg Pre-owned Supercentre because of the consistently competitive pricing on the internet; the friendly, helpful service kept us coming back until we found the car we wanted and now, feeling good about the purchase. Kind Regards! Thank you so much for being all you are and so much more than most people expect from a “car salesman”. 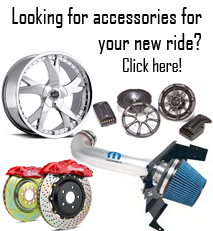 We recommend you whenever the car purchase topic comes up without reservation or hesitation. We would highly recommend Winnipeg Pre-owned Supercentre to anyone looking to buy a vehicle. We have found that there are salesmen that are good salesman and then there is Chris who would bend over backwards to help you get a vehicle. Just wanted to thank you for your great service and patience you showed me. Just a short note to conclude a recent transaction on the purchase of a 2007 Dodge Ram from your company, as well as to give a compliment on the level of service I received from Chris Rose during the process. The fact that I live 800 kms away from your operation, required that I put a great deal of trust into the opinion of condition that Chris reported, once the vehicle arrived at your premises. All to say, that I purchased the vehicle “sight unseen” and have no regret for doing so. I would and will, recommend your operation, and in particular, Chris, for making the transaction a very smooth one. Good morning – just wanted to drop you a note and thank you for everything that you did in helping Laura buy her Corolla. It was a pleasure to deal with you and Winnipeg Pre-owned Supercentre . She is one happy girl. It was a pleasant experience dealing with you and the company, contrary to other “car salesman” experiences. I would gladly recommend the company and you to others. Thanks again.